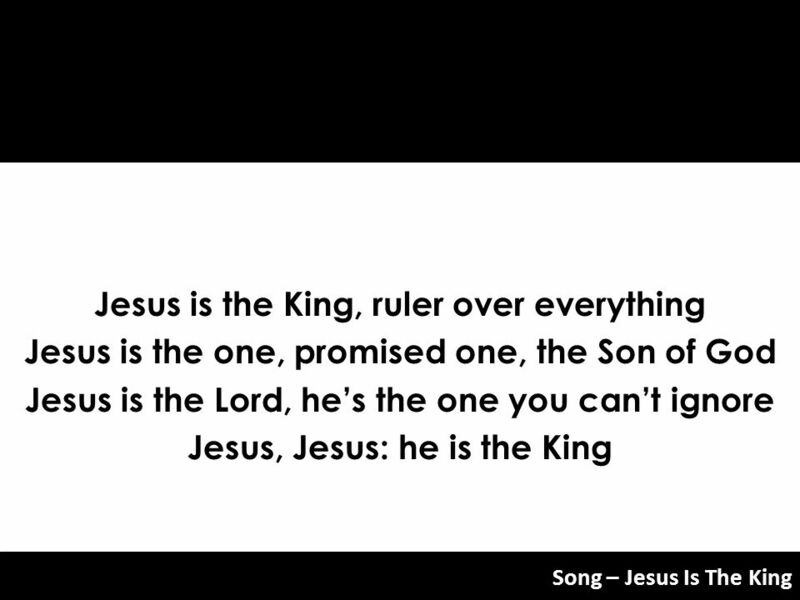 Jesus Is The King 1. 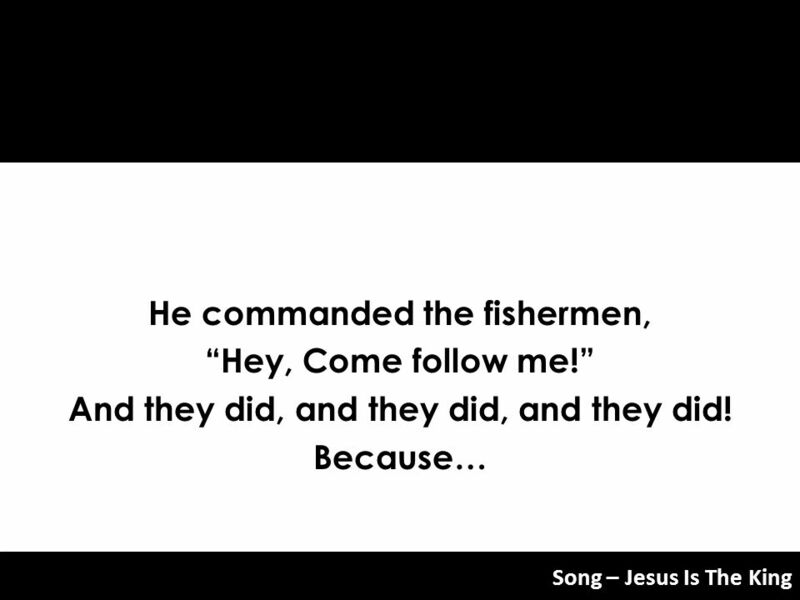 3 He commanded the fishermen, And they did, and they did, and they did! 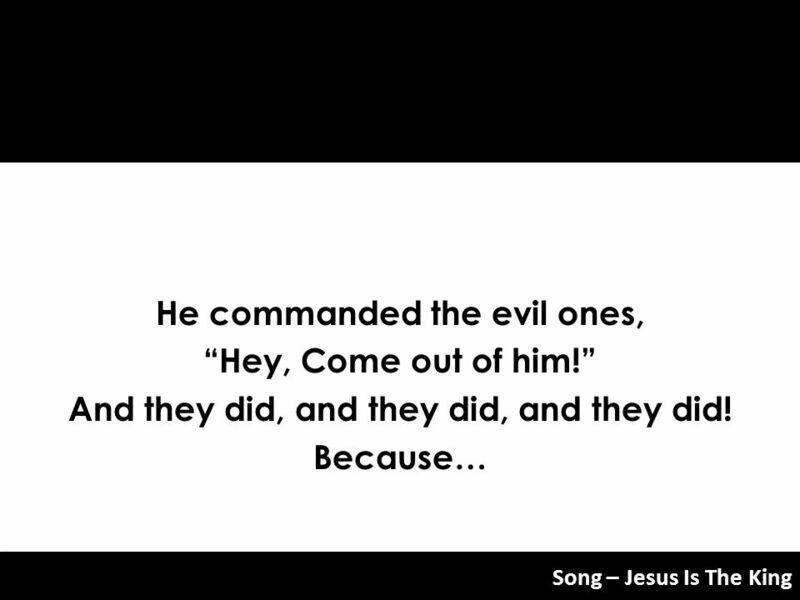 5 He commanded the evil ones, And they did, and they did, and they did! 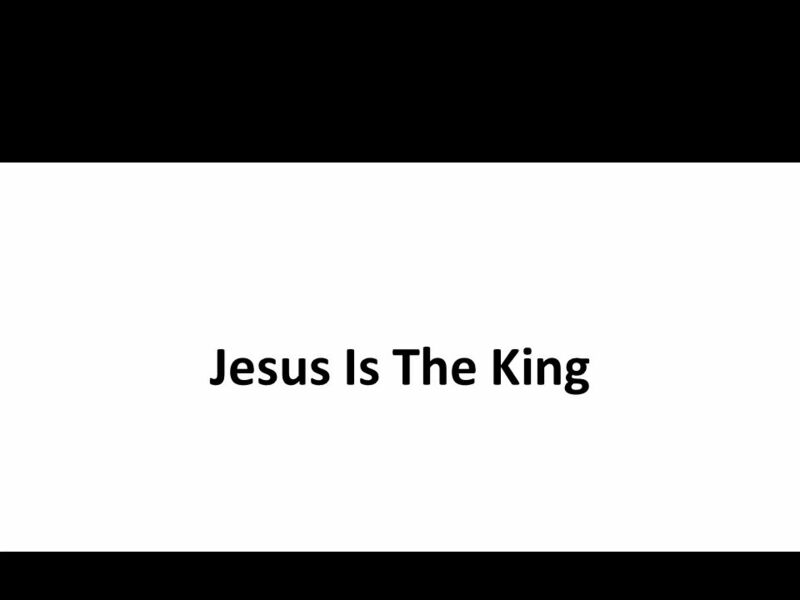 Download ppt "Jesus Is The King 1." Everything to God. What kind of joy can make me dance? What kind of love can make me sing? What kind of grace is all I need? Jesus is everything x2 Everything. Song > Faithful Is Our God. 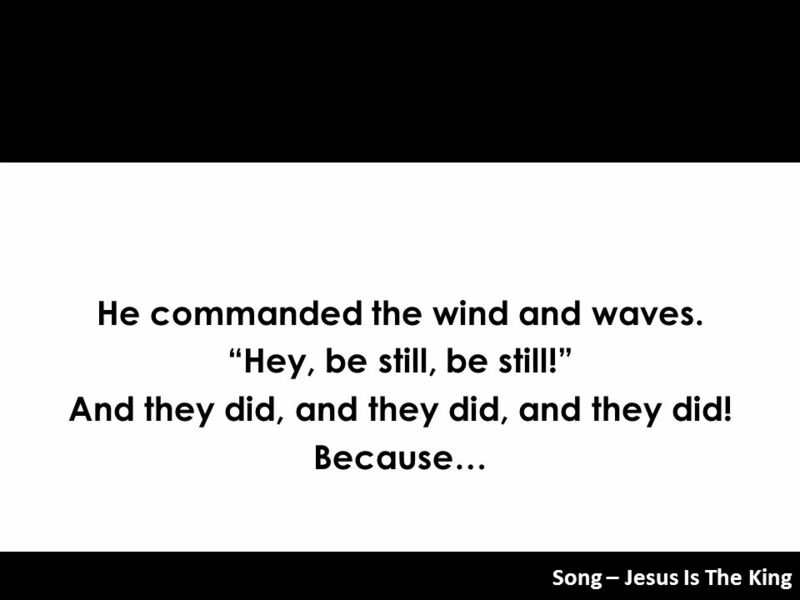 Song > Faithful, faithful, faithful is our God. Faithful, faithful, faithful is our God. Faithful Is Our God. Songs for the Road …Songs for Confused Days… Psalm 23. 1 Kings 17 Trust in the Lord Trust in God’s Promises (vv. 1-7) v. 1 – Elijah had to trust that God would protect him. vv. 2-4 – God’s command to Elijah. Funny how we set our clock to rise at 4.00 am or 5.00 am to be at the job by 7.30 am. Yet when Sunday comes we can't get to church by a.m. to praise. How Long O LORD Till Christmas How long O LORD till Christmas? How long till Jesus appears? 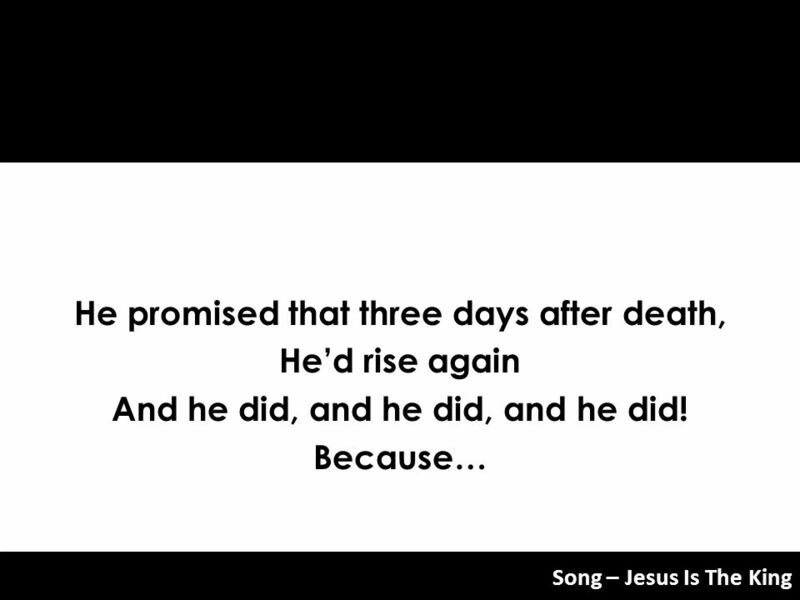 I know my Saviour, He’s coming. Pass on this hope throughout. DEATH IS ENDED!!! 1 Cor. 15:51-57 Psalm 103:15,16. The Final Commands “Trust in God”. Which path? How shall we live? CAN WE KNOW ABOUT GOD WITHOUT KNOWING GOD? The Temptation of Jesus Matthew 4:1-11 The Temptation of Jesus Jesus was tempted in all things like we are (Heb. 4:14-16). Jesus was tempted in all things.